The behaviour of domesticated animals is a subject of great importance to students of animal behaviour and veterinary medicine, as well as interested pet owners. 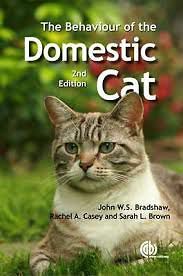 This book presents an engaging overview of the behaviour of the domestic cat, adopting both a mechanistic and functional approach. Physiological, developmental and psychological aspects are addressed, including domestication, the development of the senses, learning, communication and feeding behaviour. The authors build on these themes to discuss social behaviour, hunting and predation, cat-human interactions and welfare. Fully updated throughout, this new edition also includes two new chapters on behavioural disorders due to pathologies and from misdirected natural behaviour. It is an essential source of cat behaviour information for students, ethologists, veterinarians and pet owners.